Winner of the 2006 Wanda Gág Book Award (Minnesota). 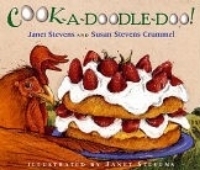 This winning picture book received perfect scores from all its readers and listeners! 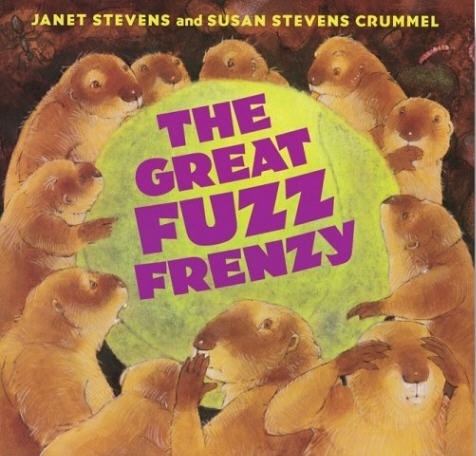 The story appealed to first through fourth graders who loved the prairie dog characters and didn’t want the story to end. ” . . . self-described “Canine Counselor” Mr. Mutt fires off savvy solutions for correspondents with a string of doggy dilemmas, from enforced diets and silly costumes to humans who’d rather watch TV than play “fetch.” Reminding readers (two-legged ones too, perchance) that it’s entirely natural for dogs to bark, play and maybe get a little rank, and also that “it’s a dog-eat-treat world,” Mr. Mutt suggests coping strategies (“If your people get you in the tub, start shaking”), many of which involve some harassment of the local felines. That last draws counterfire from the Counselor’s own cat and, ultimately, a brief coup—depicted in the gleefully disorderly watercolors by a view of the chubby writer tied to his own desk chair with real yarn—that muzzles Mr. Mutt until he’s rescued by a charging squad of loyal fans. A host of hilarious dog portraits provide further treats. Three licks (“People call it kisses. We call it dessert.”) for the Stevens sisters.